Having a fire panel and emergency lighting is essential in ensuring that your premises are compliant with current regulations. However, regular checks and services need to be carried out to ensure that they remain compliant. Do you know what is required? If not, London Fire and Safe are available to give you all the help and assistance that you need. At London Fire and Safe we have over 30 years’ experience in fire safety and we understand that our clients are looking for comprehensive and flexible service. Regardless of if you are a new client or an existing client; we will deliver accurate and timely quotes, repairs, maintenance and reporting to the highest applicable standards. Fire panels, detection systems and associated hardware (FIP). We believe in taking an active role in protecting the safety of our customers and we will always ensure that your equipment remains in top condition through regular compliance inspections. Part of our service includes a 24-hour emergency service that gives you peace of mind. As one of our valued clients, you will never have to worry about the safety and compliance of your premises again. 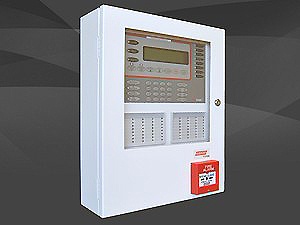 London Fire and Safe, provides maintenance service for commercial smoke and fire detection systems. In accordance with Australian Standards 1851 section 6, fire alarm systems are required to be inspected monthly. This ascertains that the detection and early warning systems are functional. We have Fire Indicator Panel Log Books available for purchase. These are carbonless copy with logbook reports in the front section for weekly, monthly and annual tests. The rear section of the book has the detection test records for yearly service or commissioning reports. 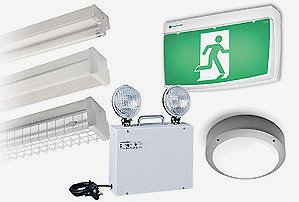 London Fire and Safe also provides maintenance services for exit and emergency lighting systems. In accordance with Australian Standards 2293.2 Emergency Lighting Systems are required to be certified periodically by conducting a 90-minute battery power down (discharge) test. This test certifies that all the exit and emergency lights are functional and batteries sustain their charge for 90 minutes during a power blackout or building fire.